(1962). Born in Rovigo (Rovigo, Italy). (1981-1988). Medical Degree, University of Padova (Italy). (1995-1997). Ph. D. in Pediatric Oncology, University of Padova, Italy. (1998- until now): Consultant Pediatric Oncologist. Division of Hematology-Oncology, Pediatric Department Hospital-University of Padua, Padua, Italy. (2011-until now): Head of the Solid Tumor Unit. Division of Hematology-Oncology, Pediatric Department Hospital-University of Padua, Padua, Italy. Publications. 205 papers with a total impact factor of >845. Citations: >3994 with a Hirsch-index of 31 (Scopus). 9 book chapters published. Lectures and Posters. More than 67 invited lectures as plenary speaker between national, international meetings and for University lectures, and more than 275 abstracts presented in international meetings. Tutoring. Tutor for 23 undergraduate students for thesis discussion between the faculty of medicine. He is member of the Teaching Commission of the School of Specialization in Pediatric, Padua University. Since 2016 he is teacher at the European School of Oncology (ESO). He organizes national and international meeting. Laboratory Management. He currently coordinator of Solid Tumor laboratory (Sarcoma Unit) at Istituto di Ricerca pediatrica, Città della Speranza (Padova) 5 between post-doc and senior researcher. The laboratory is the reference laboratory of the AIEOP soft tissue sarcoma working group and offers these services at a national and international level. Grants (1999-2018). 12 grants as principal investigator and 10 as co-investigators, including 3 Ricerca Finalizzata, 1 AIRC, 5 European calls. Total 22 grants. Memberships. He has been member of the Scientific Board of the Deutsche Forschungsgemeinschaft (German Research Foundation) that in collaboration with the German Ministry of health supports clinical research project (2008- 2010). Member of the Comissió d’Oncologia Pediatrica de Catalunya of Cat Salut (2010-2011). Elect by the Chairs of the European clinical trial Group as their representative in the Board of the International Society of Pediatric Oncology – Europe (SIOPE) (2013). Member of the group created by SIOPE and parents’ organization to lobby for the improvement pediatric drugs regulation (2016 European Parliament, Brussels). Member of ITCC (Innovative Therapy for Children with Cancer) for new drugs research in pediatric oncology. Representative for the Hospital of Padua in the Paediatric Cancer European Reference Network (PAEDCAN ERN) (2017). 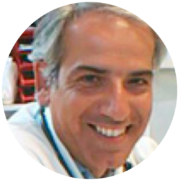 Member of Associazione Italiana di Ematologia e Oncologia Pediatrica (AIEOP) national scientific commette. Editorial activities. Editor of the Cochrane Childhood Cancer Group (2003-). Reviewer for many scientific journal including Journal of Clinical Oncology, European Journal of Cancer, Cancer, Annals of Oncology, British Journal of Cancer, BMC Cancer, Pediatric Blood and Cancer. The laboratory has been established in 1993 by prof. Angelo Rosolen and is part of the Laboratory of Pediatric Hematology Oncology directed by Prof. Giuseppe Basso.